The Hana-iro, is a strong blue with typical traditional colors of blue system. Nara Period previously “はなだ色”, around the time of peace in the color name of “縹色”, now to be called “花色”, “花田色” from the days of Edo. Hit the “blue” as referred to in the modern times. 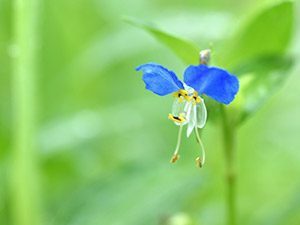 By the way, the name of the “Hana-iro” is also seen in the Heian period, which is derived from that was originally sliding dyed in blue juice of the flower of dayflower. But now points to the color multiplied by the cork tree bark or in indigo from time, color names seems to have remained intact. 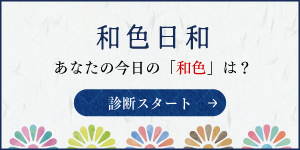 There is also a theory that the same color as the “Noshime-iro”, but more of Hana-iro will be a little bright color. 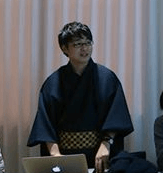 Edo period, Hana-iro is a very common color as color, such as lining and cotton, also in rakugo of the classical repertoire referred to as “Hana-iro Momen,” but is the more there is a story. ※ alias of “Dekigokoro”.